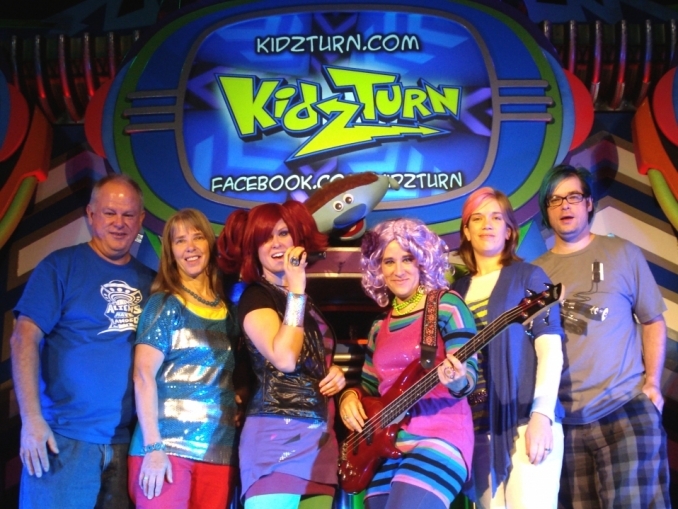 KidzTurn is a touring children’s ministry geared at presenting the Gospel of Jesus Christ in a way that is up to date with a fluid kid-culture. We are a family that ministers to the whole family. We are a 6 member team lead by Pastor Carl Lussier, who is ordained with the Assemblies of God. Our ministry is not limited to denominational walls. We minister in any size church that preaches the essential truth of John 3:16. We place a special emphasis on scalability of our program; by designing and building all of our sets to accommodate large and small churches. This allows us to provide a fun, high-quality experience in any size church. We utilize multimedia, energetic lighting and music, games and prizes, comedy and puppets, and the FDA recommended daily allowance of absolute insanity! Each night’s show is designed to get the attention of children. Once we have their eyes and ears, we focus in on the real reason we are here: the preaching of the Bible, aided by object lessons, stories and visuals, leading to a time of decision and prayer.